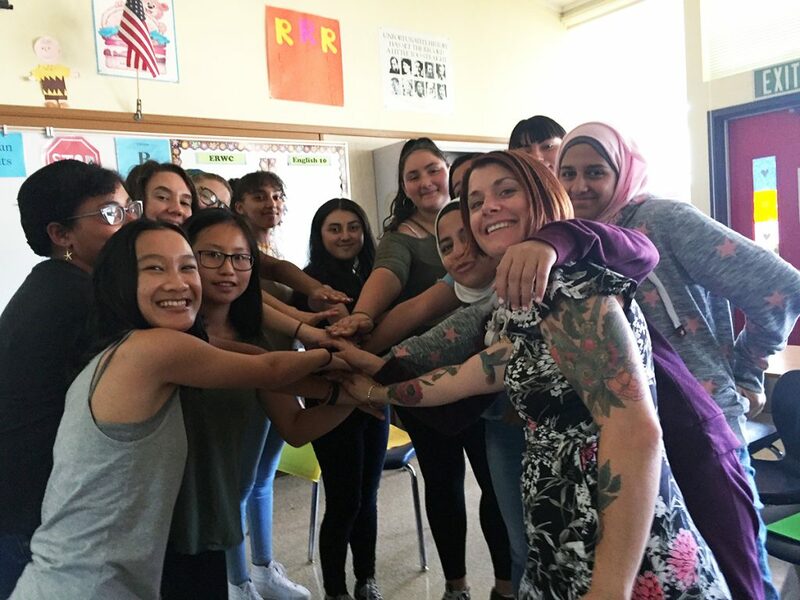 Tuesday, September 12th marked the start of Arroyo High School’s 2017-18 class of The World As It Could Be Is Within Reach Rite of Passage Program, once again under the leadership of Arroyo teacher Jorja Santillan. Last January, we initiated a pilot of the Rite of Passage program as an after school offering at Arroyo. Watch the video of the May 31, 2017 culminating presentation to get an idea of what this program has meant to the participants. As a result of the pilot’s resounding positive impact, the school funded a full-year program for 2017-18. It is wonderful to have another class of enthusiastic students committed to learning about what makes a community healthy, and how knowledge of human rights and each person’s engagement makes a difference. We are also excited to see how the Rite of Passage program has evolved since its inception in 2014.